As you know, Steve Bannon has been deplatformed in many places where he’s been invited, including the New Yorker festival, where the magazine’s editor David “Invertebrate” Remnick canceled an advertised conversation he was to have with Bannon. I despise everything Bannon stands for, and find his Trump apologetics odious, but do have a listen to this recent video interview of Bannon by Sarah Ferguson of the Australian Broadcasting Corporation and see if he’s sufficiently Satanic that it endangers people to hear him speak. I don’t think so! You’ll find, I suspect, that a conversation with Bannon is cordial and yes, enlightening—in the sense that his views and political strategy become quite clear. And that’s why people are afraid to let him speak. Bannon talks about a lot of things in the ABC interview, including the #MeToo movement, the reason why Trump won, and the danger to Trump of the upcoming midterm elections. I was surprised to find him pretty eloquent. Despite his rumpled appearance, he’s a long way from being a roughneck or a Nazi; rather, he’s a well-spoken conservative Republican and nativist. As for whether he’s a racist, well, he discusses that issue about 27 minutes in. The ABC’s Sarah Ferguson speaks with political strategist Steve Bannon, the man who helped get Trump elected to the Whitehouse [sic] and is now attempting to stir a global populist revolution. He says he believes Australia is ripe for a working-class revolution as the influence of China grows. Ferguson by no means throws Bannon softballs; rather, they engage in a spirited back and forth. I found Bannon’s strategy for electing Trump—one that he thinks won’t fly this fall—quite interesting, and had in fact never heard a long-form interview with the man before. I suspect that that’s also the case with the many people who want him banned while never having heard him. So what are people afraid of? I’m not sure. Clearly Remnick could have engaged in an even more spirited exchange with Bannon, and even Bannon’s appearance at my University is scheduled to be a debate. And if people have responses to Bannon’s conservative views, why not air his views before responding to them? After hearing this interview, I can’t help but think that people want to ban Bannon simply because they either don’t know enough about him to formulate a reasoned response, or are afraid that his eloquence will convince those on the fence that he has valid points. They are afraid not that he might injure people’s feelings, which is considered a form of violence, but that he might change people’s minds. But what I don’t hear here is a call for violence, or anything that should make people flee from the venue in tears. No, this kind of debate is exactly what we need in this country now. We cannot resolve issues, or bring any kind of comity to our divided electorate, by demonizing and deplatforming our opponents. If you think otherwise, and feel that Bannon shouldn’t be given a platform at meetings and on campus, please tell us why. 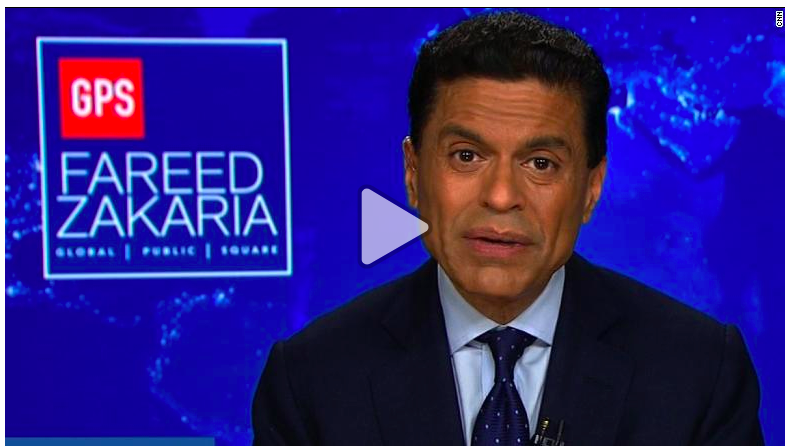 Reader Paul sent me a CNN video, saying “Fareed Zakaria led this morning’s show with his “My Take” segment.” Click on the screenshots to hear the four-minute op-ed. I would want this video shown to anyone who calls for the banning of Bannon, including David I. Remnick and my University of Chicago colleagues who don’t want Bannon on campus. This entry was written by whyevolutionistrue and posted on September 17, 2018 at 9:30 am and filed under freedom of expression, freedom of speech. Bookmark the permalink. Follow any comments here with the RSS feed for this post. Both comments and trackbacks are currently closed. I can’t help but think that people want to ban Bannon simply because they either don’t know enough about him to formulate a reasoned response, or are afraid that his eloquence will convince those on the fence that he has valid points. I think it’s even more basic than that. A lot on the Left have decided that the best way to get their opinions to prevail is to declare them so obviously correct that no decent person would disagree, and thus that anyone disagreeing is necessarily a “hater”. They don’t believe in discussion and democratic politics, they believe in declaring themselves right. Many of them can no longer even conceive of the possibility that a decent and thoughtful person might disagree. People who want to de-platform others do so because they are simultaneously convinced beyond any doubt that they are right AND quite ignorant about the counterarguments to their own views. It’s far easier to straw-man Ben Shapiro, Jordan Peterson, Steve Bannon, or Richard Dawkins than it is to actually understand their respective arguments. The beauty of it is that if you don’t allow them to speak, you get to tell the world what these “dangerous voices” really think without allowing them an opportunity to defend themselves. If you keep everyone in the dark about opposing views AND you control stage, you get to tell everyone what to think, and they have no choice but to accept what you say on faith. Brilliant strategy if winning is more important than anything else, including the truth. “If you keep everyone in the dark about opposing views AND you control stage, you get to tell everyone what to think…” It should not escape notice that this was precisely public policy in the late-lamented Union of Soviet Socialist Republics, and the various Peoples’ Democracies it controlled. Our contemporary de-platformers follow a path that has been well marked out on the Left. Becoming a reactionary right-wing state hasn’t done much for Russian freedom of expression, either. Speaking out against the Putin government can get one beaten to death in a prison cell or whacked with Novichok in a foreign country. I don’t think that there is any reason to strawman Peterson or Shapiro – their own rhetoric is generally absurd enough to warrant little more than a headshake. And yes, I am familiar with their claims, and yes, I have watched some of their videos and ‘debates’ (but let me guess – not the ‘right ones’? ), including those with titles like “Ben Shapiro DESTROYS leftist with facts” only to see 15 minutes of little Benny spewing opinions and assertions, or watching Peterson DESTROY so-and-so only to hear him re-define the word “truth”… No thanks. nmanning, I agree in the sense that I hate it when I see video titles like “Shapiro destroys leftist…” I don’t even bother watching videos with titles like that. I want to see videos with neutral titles. If the title tells me who won the debate, I’m not going to watch. I also agree that you don’t need to be strawmanning anyone. Strawmanning isn’t a very effective way to win a debate. You might disagree, but I think Cathy Newman lost the debate because she was strawmanning Peterson. But I give her credit for having the debate. Here in Canada we had the awful Lindsay Shepherd affair where she was unfairly targeted for showing a Jordan Peterson debate from public TV. Thankfully she secretly recorded the conversation, but it does highlight the problem with leftists today. They do not want to have the debate. They want to end the debate. This censorship is far worse than allowing bad ideas to be aired. Yep. I think you’ve summed up the no-platformers motives succinctly. There’s an approach in ethics to conclude based on the principle of “with which nobody could reasonably disagree”. It seems that some of these “no-platformers” etc. are operating on a twisted version of this. That said, some of their opponents *are* unreasonable; then they mistake “end state principles” for the current sate of the debate. Bannon will be debating David Frum in Toronto as a part of the Munk debates series on November 2 about the rise of populism. You can sign up for free & see the streamed debate or see it later on the site. Thanks for the link. For my money, David Frum has been one of the most cogent, and articulate, never-Trump conservatives. Yeah, I really like David Frum despite our opposing politics. I’m probably somewhat biased because I liked his mom too. Someone on here once said that they thought the stork dropped David Frum on the wrong side of the border. I thought that was pretty funny. Beats what my family used to say about me: that I was dropped on my head. I don’t think that people are afraid of Bannon’s views, I just think that they’re tired of them. He’s already gotten way more free publicity than he’s deserved, so why keep feeding him more? As for his political insight, his stint in the White House shows that he’s not very politically astute. Let him fade away. People can stay home. No one is forced to go listen to him. Yes, let’s all abandon the idea of making the world a better place and just stay home and watch reruns of “Cheers”. What’s your point here? Do you favor Bannon being deplatformed once he’s been invited somewhere? And your comment about “Cheers” is simply gratuitous. Having free speech and informing oneself is one way to make the world a better place. What is think is that Bannon is still a thing because the press keeps him in the news to generate advertising revenue. It’s a self-own in the same way their incessant criticism of Hilary Clinton was a self-own. Bannon had his chance and self-destructed; if the liberal press would stop interviewing him, he’d probably just fade away into irrelevancy. Should he be disinvited? Eh, that just gets him more publicity, so it’s probably a bad thing. Rather, he shouldn’t be invited in the first place. Steve Bannon is still “a thing” because he was the architect of one of the most unlikely Presidential campaigns in US history and is now an incredibly popular political figure. If you think Steve Bannon would somehow fade into obscurity because you or the left ignore him, you’re desperately naive. If you think ignoring Bannon’s views will be more helpful to your political allies than hearing, understanding, and civilly countering them, you’re misinformed. And if you think trying to rob him and anyone who thinks like him of a platform every time they show their faces will do anything but endear you to your ingroup and deliver yet another publicity victory to Steve Bannon and his allies, you’re delusional. Making a world a better place by preventing others to speak? I suspect that in your better world war is piece and hate is love. I disagree. They are afraid of his views, unlike say Richard Spencer, Linda Sarsour, or a number of radical ISIS supporters who are allowed to give talks without the police protecting them. My guess is that these people, including Bannon, have something of value to add to the conversation, and the radical de-platformers hate anyone who wants to add value to the world. This line of reasoning means that everyone deserves a platform and if they don’t get it, it means that people are afraid of them. I don’t find that a reasonable perspective. How can you be tired of his views when you’ve never taken the time to listen to them? I’m not afraid of anyone so long as everyone has free speech. If I invite someone to speak, who gets to decide if it’s worthy to be listened to? If you invite someone to speak, who am I that I should be the one telling you that it’s so wrong you need to cancel the speaking engagement now? It makes no sense to me other than people are driven by fear. How do you know I haven’t taken the time to listen to Bannon’s views? They’ve been given non-stop publicity for two years now. You’re someone who has free speech and you can say what you want. People don’t have to listen. You sound like a Bannon fan. I am no Bannon fan at all. I’ve never listened to him speak, so don’t really know what he stands for other than what I’ve read in the media. The debate in Toronto will be interesting, and I might actually watch it out of intellectual curiosity. I’m not tired of Bannon’s views because I haven’t listened to them very much. And I strongly suspect that most people who are calling for his deplatforming know as little about what he thinks as I do. If you think the average American knows enough about Bannon’s views to be tired of them, I have some land in Florida I’d like to sell you. . . . Concerning the de-platforming and all of that. It is just stupid and they should let this guy speak or be interviewed until the cows come home. If you don’t like it, don’t lessen. Bannon is mostly a lot of hot air. He thinks he is an economics expert or experimenter or something. His Nationalist Economics is not smart and not going to work. That is just my opinion and the opinion of most economics people around the world. If you ever get him off the subject of economics he is pretty empty. She should have hit him on Cambridge Analytica when he puts on that dumb act about Russian collusion. What was he doing – mostly on line farming for propaganda in politics. That is what he really majors in. He is another version of Manafort. Manafort does not care about your politics, he is simply in it for the money. Bannon is in it for his ideology. He calls the Republican party the Worker’s party. Anyone who buys that one is worse than stupid. While this may or may not be true, it is hardly a stupid assertion. Thomas Frank is his book “Listen Liberal: Or, What Ever Happened to the Party of the People?” makes the cases that Democrats have to some extent abandoned the working class. Party constituencies have changed many times in American history. I’m conflicted on one of the points about his views and racism, as discussed at the 27 minute mark. He clearly and categorically denies he harbors racism, and he references dubious, unsupported figures about how tiny a percentage of people that support his views harbor any racist ideas. I think that’s probably false (just scroll down to the youtube comments on that video; see how many people talk about the interviewer being a “traitor to her people,” how many people talk about Jews controlling media, etc. It’s actually less on this video than many other Bannon/alt-right postings). The causes of unemployment rates go far beyond who is currently president. To claim that Trump is responsible is ludicrous. Maybe time and arguments would be better spent focused on things like these issues. What Bannon has to say is crap on steroids; it’s also confused and inconsistent. But I’ll give the devil his due on this: he has an enthusiasm for ideas. Which is something utterly lacking in his former boss, The Donald. Trump has no interest whatever in ideas or public policy; his only interest is in self-aggrandizement and the enhancement of his bottom line. Indeed, Trump has not the language with which to discuss public policy or matters of the mind. He can bark his way through certain public appearances, such as his Nuremberg-style rallies (if you can stomach the vulgarity and ignorance). But his lack of policy language is painfully, cringe-inducingly obvious whenever he’s called upon to engage in discussion, as during an interview or in one of the staged, televised meetings he occasionally holds in the Roosevelt or Cabinet rooms of the White House with congressional delegations or his assembled, sycophantic cabinet. The only language Donald Trump knows is that of product promotion, and the product he promotes unceasingly is Donald Trump himself or something explicitly or implicitly Trump-branded (be it his hotel down Pennsylvania Avenue or some new executive order). Everything with Trump devolves to hype — from his own accomplishments, to the malevolence of his perceived enemies, to an impending natural disaster — as though he’s out there flogging a promo for an upcoming episode of The Apprentice. Which makes it’s all the more important to engage someone like Steve Bannon in discussion, since Trump’s more controversial policies (to the extent any of them are coherent enough to be deemed “policies” at all) were fed to him by Bannon, without any serious reflection upon them by Trump, save as to how they might play with his base. I will agree with Bannon on one thing he said at the end of the video: Sarah Ferguson is a damn fine interviewer. Notice he calls Trump a transformational president. That was just about the only thing he said I would agree with. He is transforming it alright – into a job any 6 year old child could do. He got Donald Trump elected president of the mot powerful nation on Earth. Not everything he says is “crap on steroids”. It’s not difficult to sell crap to the American public. Winning the presidency is the “on steroids” part. Plus, Bannon didn’t unleash his full neo-Fascist agenda during the campaign, or Trump never would have been able to back into the presidency by minus 3 million votes. One only needs to go to youtube to find a multitude of Bannon interviews, in which he repetitively spells out his views. There are also many articles about him. Undoubtedly, the vast majority of people that will attend the Remnick event know quite a bit about Bannon and are largely of the liberal elite. The unknowledgeable masses will not be attending. Thus, Bannon’s attendance at the event would have added almost nothing new to our understanding of him and his positions. Bannon has more than enough forums to express his views. Liberals do not have to provide him with another one. Bannon is not an obscure academic whose ideas, although interesting, are virtually unknown. Remnick made a mistake in inviting a provocateur to his event. He also made a mistake in disinviting him once the invitation went out. He now looks weak as he caved under pressure, and Bannon looks like a champion of free speech. This is the tragedy of this debacle. Everything you write about Bannon is also true about Bernie Sanders. Should he no longer be invited to speak anywhere? Organizations should invite anyone they want to speak. They should not be under any obligation to do so. I would agree that Bernie Sanders is like Bannon in the sense that he has appeared for countless television interviews and has very little new to contribute. One factor in whom I would invite as speakers to events would be that they have something relatively fresh to say. Bannon and Sanders do not. How do you now that they wouldn’t have something fresh and interesting to say? Times change, people change, things happen. I’m sure both Bannon and Sanders have interesting things to say about the latest Mueller developments or Brett Kavanaugh. Come on, don’t you know that the ultimate judgement call is on him or someone he agrees with politically? Surely not on those right wingers conservatives hard right nazis. You can be very familiar with someone’s views and still wonder how they would respond to a direct and challenging question. Most cranks comfortably surround themselves with like-minded people and invent distorted images of what the Other Side believes and says (i.e. Creationists) They seldom address the hard problems, or even seem aware of them. But in a debate — or during audience Q&A — there’s an opportunity to present a hard problem and see what they do. And if they unexpectedly answer it surprisingly well, then we might be building the Straw Man. Steven Bannon has/had a giant multi-million dollar media platform. You don’t need to invite him over for a speech to know what he thinks. This pretentious attempt at defending “Freedom of Speech” is quite pathetic. And you always defend right-wing ideologues who have tens of thousands of followers if not million. That’s not called defense of speech; it’s called falling to traps set by the right-wingers. Thanks for being The Decider and telling us who we need to hear from and who we don’t. As for your rudeness, it won’t be tolerated here. You’re clearly not sapient enough to see why I defend right-wing ideologues at a time when they’re being deplatformed everywhere. Just look at the FIRE disinvitation database to see who’s being deplatformed and disinvited: it’s overwhelmingly those from the right, disinvited by the left. Yes, of course we should do what you say and ban or disinvite right-wingers whenever we can. LOL. Yes, someone is falling into a trap that makes then look very bad, but it’s not Jerry. Where does this trap stuff come from. So the right wing gets themselves invited to speak somewhere and then uninvited suddenly. A trap? What planet is this? What’s preferable? Let somebody speak and have their views exposed to rigorous questioning or deplatform them and have their views not questioned at all, but give them free publicity that demonstrates the fascism of the left and erosion of free speech? There is a trap being set by the right wing but it’s the deplatformers who are falling into it. I think that it is important to listen to the voices of the radical right in order to formulate and implement counter arguments and strategies. I usually listen to Rush when I am driving during his three hour daily rant. So much of it is twisted garbage that his ditto-heads swallow hook, line and sinker. The effective response to the right-wing blather is not plugging one’s ears or otherwise trying to silence their voices, but rather to clearly articulate one’s perspectives on a variety of issues. It is not so much that Trump is like Lincoln, but rather Lincoln being like Trump. As much as I dislike Bannon, he does bring up a good point of the inner chaos going on among the Democratic Party and why the midterm elections aren’t mostly guaranteed towards their victory. So, while the Democratic Party has moved a little more to the left, which I think is a good thing, it is hardly the left wing mirror of the hard right Republican Party. 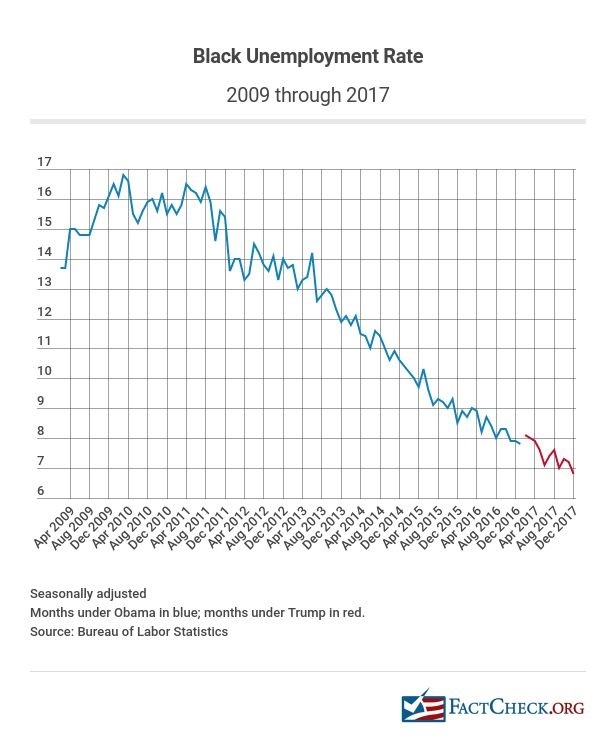 Of course, the “blue wave” is not guaranteed in November. I don’t think Democrats have become complacent and are not so foolish to become so. Says the guy who pushed all his chips into the pot on Judge Roy Moore. I highly recommend Showtime’s “The Circus” which just started a new “season” yesterday (Sunday). As the teaser at the end of this post shows, John Heilemann interviewed Bannon. Bannon presented his view of the good work Trump is doing. He asked Bannon if he thought that Trump was as smart as him (Bannon). His reply was something mumbled about Trump being even smarter. Heileman challenged him on that, claiming (correctly imho) that there was no way Trump could participate in a conversation at the level they were having. Good stuff! I have long maintained that the big reason to not deplatform the various loons and wrong thinkers from the far right is that doing so is more useful for them. Instead of being heard by a small audience of bobble heads without anything else to show for it, the banned speaker can go back to their base and crow about how the liberal snowflakes are anti-free speech, and don’t I get more credibility by being victimized. The banning becomes the next talking point for them. So for most of those types we should let them speak, and for the nuttiest of them they can speak to a sparse audience over the sounds of crickets chirping. Deny them the nutrients that they really need. But in the case of Bannon I don’t think that entirely applies. He is far too important, and it takes thought to rebut him. So it is more important to hear him out first. Our best defense with this one is with the use of effective counter-speech. Bannon is coming to my city (Toronto) to debate Frum. My impressions from my leftists friends is that they are afraid that Bannon will convince more people to side with his views. There is generally an opinion that those that voted for Trump (and Ford here in Ontario) are gullible and stupid. They are indeed afraid that more people will be influenced to become alt-right Nazis. Underlying these views is an implicit elitism. They themselves are smart enough to not get duped, but they can’t trust others not to be swayed by the alt-right ideology. It’s all seemingly well-intentioned in the quest to stamp out hate and bigotry. In Canada, the idea of “hate speech” as being a crime is a well entrenched and supported concept. I’ve heard many people express support of free speech but in the same breath say that of course this does not extend to “hate” speech. Hate speech must not be allowed! Without probably knowing any of Bannon’s views, being seen as the evil genius behind Trump’s presidency, is enough to fear him speaking and possibly convincing others. In some sense, we are too late to suppress Bannon and Trump’s bad ideas. They convinced a lot of voters and won the election. We have no choice now but to let them speak and counter their bad ideas with good ones. On the other hand, if Bannon is only going to apologize for Trump, rather than present ideas as his own, it is going to be difficult to counter. I look forward to his debate with Frum. I hope they make a video available. I’m reading Woodward’s book right now & I don’t know if it’s the ideas so much as the presentation that convinced them. I tend to think Bannon’s real edge isn’t his ideas but his persuasion methods. However, I could be wrong. I’m in the early parts of the book. The true part of “the medium is the message” is that the medium itself can carry “information”. I agree. It was the presentation. I am coming around to the idea that we can’t dismiss Bannon as simply no longer relevant. However, I think he’s going to be difficult to rebut. In all the interviews of him I’ve seen, he only talks about what he’d like to see happen and doesn’t really attempt to justify his ideas. Like all the Trump apologists, he mostly talks in terms of what Trump really meant and holds up some sort of fantasy, brilliant Trump. It might be difficult to get Bannon to talk about his ideas as his own. Alot of his ideas are laid out in “Fear”. The y seem to me to be the same as Trumps on a basic level. Even raising the top tax rate of the top tax bracket. One quickly shot down by others. It isn’t about fear. It’s about creating a caste system, who must avert his eyes and who must not. I believe the deplatforming that has been discussed previously happened because sufficiently many of the other participants – as well as the intended public – despised Bannon and the dangerous ideas (has historically only led to problems) he stood for. Maybe there have been more reasons, but I haven’t seen those. In the larger picture, Bannon is an anecdote, not data on the usefulness or problems with hate speech laws (or in their absence in US, deplatforming). I disagree. This is herd behavior. The celebrities who threatened to pull out did not have an understanding of what Bannon actually says or thinks. They parrot the nostrums of their tribe, that is all. I have not finished “Fear” by Woodward, but my favorite part is a conversation between Bannon and Sessions were Bannon says that Trumps derisive tweets about Sessions is a diversion and he elicited a pledge from Sessions to never resign. Bannon says you know the hand of God was at play at Trumps victory. He goes on but it seems that both of them are being quite sincere. Hope that comes up in any interviews with him. Is everybody owed a “platform” under the banner of “free speech”? David Duke? The Westboro Baptist Church crowd? ISIS terrorists? If I want to invite Bannon to speak or debate I categorically deny that you have the right to stop me. Same if I wanted to invite Chomsky or Obama. I for one WANT the ISIS message to be heard, and heard accurately. That is because I know I can refute it, and I know that the more people learn of ISIS the less they will like it. You do realize that Anjem Choudary and other ISIS supporters have been interviewed on CNN and Fox News, right? The best way to understand an extremist’s viewpoint is to let them talk. I did not become an ISIS supporter after watching Choudary on CNN. Far from it. I viewed his version of Islam as even MORE dangerous than I had thought it was before watching. The same is true of Democrat extremists like the Westboro Baptists or Republican extremists like David Duke. Expose their ideology of hate, and you get the full Monty. You do not become an extremist yourself; you learn how evil and dangerous these extremist ideologies are. No one owns a platform, and no one owns the decision of who others want to platform. I think Bannon is a wind bag, but if people want to listen to him, that’s okay with me. Inviting someone to speak and then rescinding the invitation is just plain rude. I don’t get why some people make a big deal out of every little thing.